CSF and a coalition of environmental and indigenous rights advocates have provided extensive technical information on the project's impacts to the federal Public Prosecutors office, which made the official recommendation that IBAMA cancel the project. CSF's work, spearheaded by Camila Jericó-Daminello and Susan Edda Seehusen, estimated the cost the dam would impose in terms of lost livelihoods for local people, diminished water quality and emissions of greenhouse gases from the vegetation rotting in the dam's reservoir. These data were not considered in the dam's EIA or feasibility study. Camila and the CSF-Brazil team have presented the results in public hearings and conferences over the course of the last nine months. Other organizations underscored a variety of impacts not quantified in our study due to a lack of economic data. The collective effect was a determination by officials that the projects' impacts haven't been adequately assessed and that impacts are likely to be far greater than project sponsors have estimated. 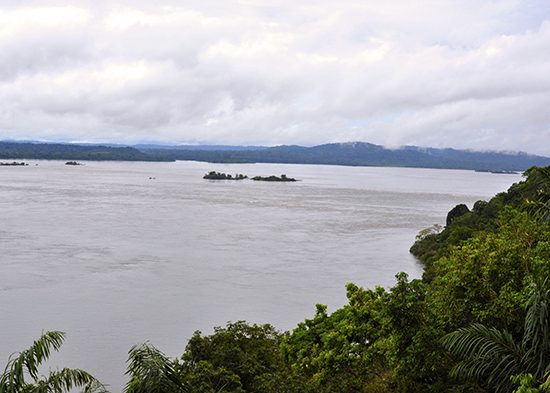 The Tapajós basin is seen as the next major frontier for dam building in Brazil. Debate over projects there, and in the wider Amazon Basin, is of central importance as the societies of the nine countries that make up the basin plan future energy sources. CSF is expanding the set of economic tools we use and deepening collaboration with scientific organizations to identify energy scenarios that keep a critical mass of rivers free flowing while meeting countries' energy needs. Securing a pause in major dam building in the Tapajós gives a chance for this analysis to be done. CSF is grateful to the US Agency for International Development's Biodiversity Understanding in Infrastructure and Landscape Development for supporting our work in the Tapajós Basin.